As a premier home healthcare service provider in Hawaii, we recognize that a little bit of knowledge can help empower patients towards getting the right kind of care that they exactly need. In this post, let us help you understand even more the scope of our services as a healthcare provider in the homes of our beloved clients. This is a team of licensed and certified professionals who are able to extend care to a patient at home. Aside from assisting them in their daily living activities, these staff can also extend help on the medical needs of the patient. 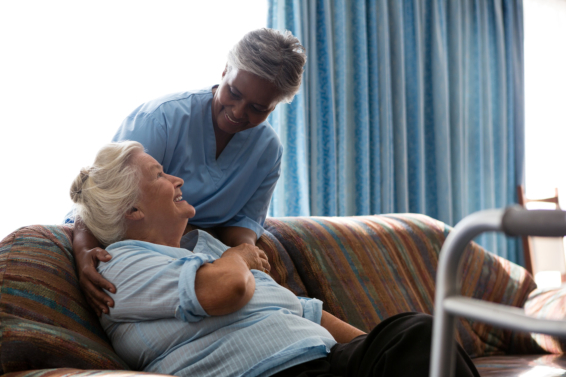 If your aging loved one is already bedbound and will need medical attention most of the time, they can benefit the assistance of home care service providers in Hawaii. Home health care is not for all. However, for those patients who do need this level of service, they will be able to attest the effectiveness of this assistance. Because of the home health care service, many treatments that were done in hospitals or nursing facilities can now be done at home. Patients with major health issues but prefer to stay or recover at home can greatly benefit the help of these licensed care providers. When your loved one is under this condition, ensure that they always have medical staff seeing through their medical progress even when they’re at home. There are many providers of these home health care services so you may have a little difficulty in choosing the right one for your family member. While you can ask for referrals or research on your own, at the end of the day, it will still be the patient, or their primary family caregiver who will decide on which care provider they have to ask help from. Still, the bottom line is this. Care providers are always available when you need them to help you out both in medical and non-medical needs. Every patient will need a different level of care due to their unique conditions also. In serious medical cases, skilled nurses can religiously monitor the treatment for the patient’s illnesses so that they will be able to surpass this trouble. These nurses from reputable home health care providers can help administer the medications of your loved one so that they will receive the quality care they need and deserve. Many patients who will be in need of home health care services will be under the assistance of skilled nurses. These are licensed nurses who can provide medication administration and skills to improve the condition of the patient. However, they can also provide personal care services when the patient will be in need of this service. With our home care services at Helping Hands Healthcare, we’ll do our best to help your loved one enjoy convenience and quality care in their health conditions. This entry was posted in Home Health Care and tagged Caregiver, Health Care Providers, Medical Attention. Bookmark the permalink.